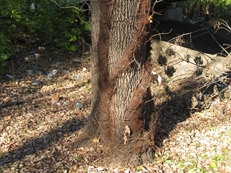 Answer: Look for the very hairy stem, the slightly hairy stem, multi-vine hairy stems, or the smooth stem. This is where poison ivy identification gets a little tricky. 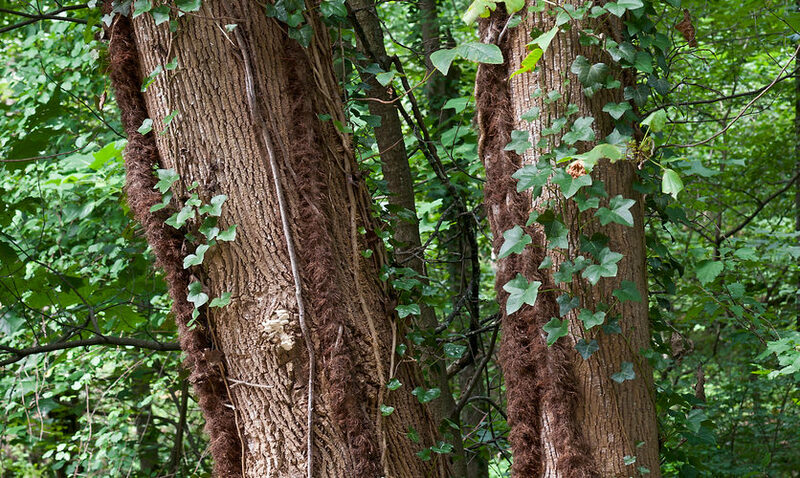 Even though this plant does have a specific physiological shape and characteristics that denote it from other plants, it is important to realize that the potential for diversity within poison ivy forms can be surprising. 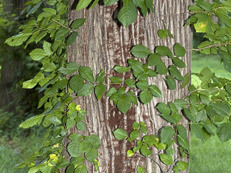 For example, the four pictures of poison ivy below were all taken within a hundred yards of each other. 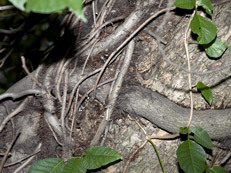 Each photograph exhibits a slight variation of the plant stem and vine. 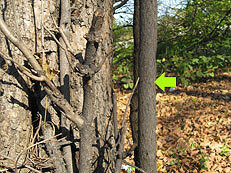 Smooth stem, not attached to tree trunk, but attached to upper branches of host tree.